2013 Ford Focus ST is equipped with 2L 4-Cylinder Eco Boost engine with 6-speed manual transmission which produces 246 Horsepower. It is anticipated that it will be fuel economical and eco-friendly as compare to previous models. Ford has modified the design and style of this upcoming vehicle and used high-tech features in its exterior as well as interior. Back spoiler, side skirts and center tailpipes are the main modification in the exterior of 2013 Ford Focus ST and Ford has used 18-inch alloy wheels in this performance oriented car. Those who love to drive sport car will be excited to know that Ford has used Sport Steering Wheel in it along with variable-ratio steering rack which helps the driver to smoothly move through corners. 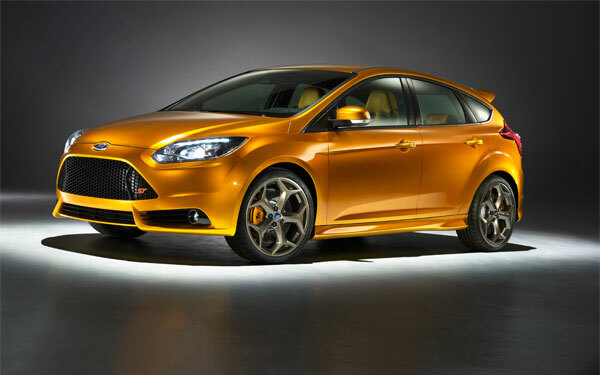 Improved shock absorber and lowered chassis are among the standard features of Ford Focus ST. Apart from Tangerine Scream (Signature Color), Ford Focus ST will be available in Performance Blue, White and Race Red. 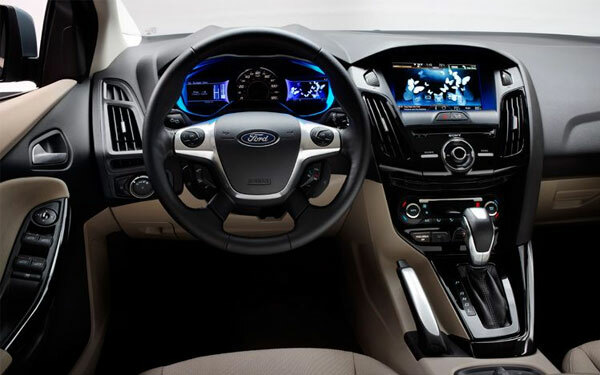 Ford has also uniquely and intelligently designed the interior of 2013 Ford Focus ST and added distinctive pedals in cabin along with stylish steering wheel as well as gear shift. Seats of this model are more comfortable and cabin is also more spacious as compare to previous model. 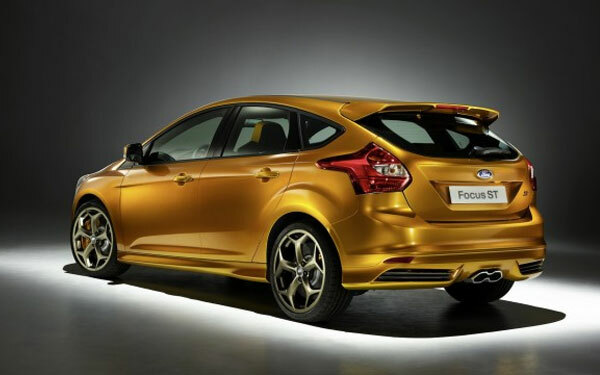 2013 Ford Focus ST will be presented in Europe as base model ST1, ST2 and ST3; ST1 will include cloth Recaro Seats, keyless start, front door scuff plates along with ST logo and much more. On the other side, ST3 will be equipped with Recaro seats (heated leather), bi-xenon headlights, rear bench seat (Recaro) and much more.